The Appetizer Tents will offer clam chowder, grilled chicken, boardwalk and sweet potato fries, hushpuppies, cornbread, and a salad bar. It’s clams galore at the Seafood Tents, with raw clams, steamed “Little Neck” clams, clam fritters, and clam strips. You’ll also see raw and fried oysters, fried fish, and steamed shrimp. Non-alcoholic beverages are included with your ticket and the Beer Tent will be selling cold suds. Chincoteague Seafood Festival isn’t all food. It also features an Arts and Crafts Tent, just loaded with handmade creations from area artisans. Seafood Festival souvenirs will also be available for purchase. And don’t miss out on the chance to win big prizes at the Extravaganza Raffle. Live music will once again be provided by Front Page News. The band’s high energy covers of modern and classic rock hits will have you up on you up on your feet in no time … or at least chewing to the beat. Most vendors at the festival can only accept cash, so be sure to come prepared. The festival is all-you-can-eat and very popular, with no guarantee that all items will last until 4pm. Consequently, the earlier you arrive, the more you’ll have a chance to taste – and the better seat you’ll acquire! 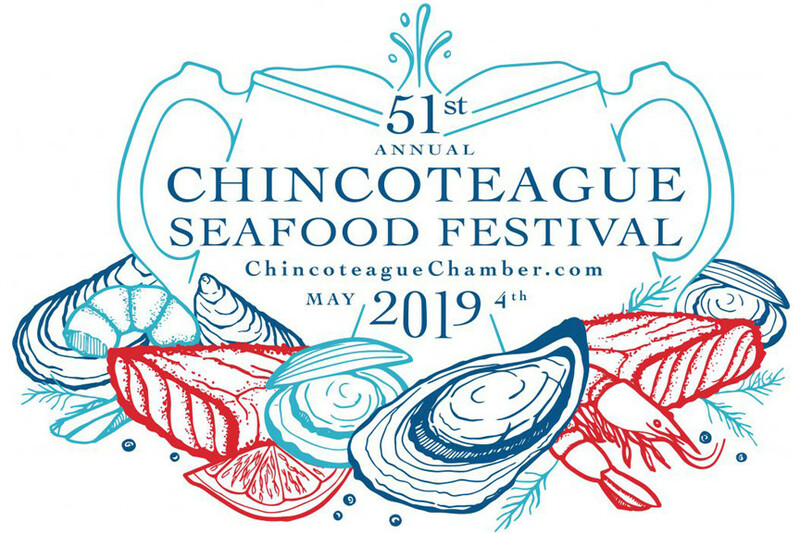 Chincoteague Seafood Festival Tickets are also limited and this is a sell out event, so get yours sooner rather than later. No matter what brings you to Chincoteague Island, Miss Molly’s Inn Bed and Breakfast would love to be your home away from home. Our convenient location on Chincoteague’s historic Main Street, puts you just steps away from shops, restaurants, and more. Book your stay at Miss Molly’s Inn today!